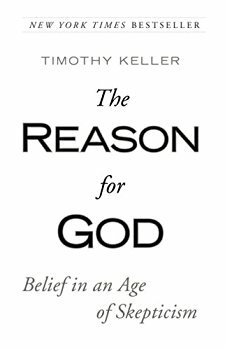 Keller is the founder of Redeemer Presbyterian Church in New York City and author of more than a dozen books including New York Times Best Sellers The Reason for God: Belief in an Age of Skepticism, The Prodigal God: Recovering the Heart of the Christian Faith, and Prayer: Experiencing Awe and Intimacy with God. He began Redeemer in 1989 from scratch in downtown New York. Today the church serves more than 5,000 worshipers every week. We are a community that does not silence voices in the church. In this spirit we are a school that can welcome a church leader to address one of its centers about his subject [church planting], even if we strongly disagree with his theology on ordination to ministry. But when Princeton alums learned that Keller was to receive this award, they began to push back, knowing that Keller, ordained by the Presbyterian Church in America (PCA), opposed the ordination of women and homosexuals. It didn’t matter that, starting with just 50 attendees his church now successfully serves more than 5,000 mostly young urban professionals, many single, in an increasingly secular culture. Accordingly, Barnes announced that the Kuyper award wouldn’t be given to Keller or to anyone else this year. This entry was posted	on Friday, March 24th, 2017 at 5:47 am	and is filed under Uncategorized. You can follow any responses to this entry through the RSS 2.0 feed. You can leave a response, or trackback from your own site.